Start the New Year in a new Jeep or a Ram from Peterson’s in Nampa during the “Start Something New” sales event. With so many amazing deals on remaining 2018” s, you will kick off 2019 by saving thousands! Right now, you can get a 2018 Ram Ecodiesel Crew Cab 4X4 starting at only $29,752. With a variety of features, the Ram 1500 is built to deliver on every job. A truck is the epitome of hard work. The Ram Brand Engineers accomplished both capability and performance in one vehicle. 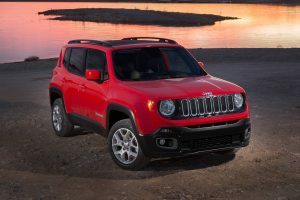 Speaking of low prices, how about a new Jeep Renegade for only $10,364? From rural roads to the most modern highways, the Jeep renegade is designed to give you an impressive ride and handling. Explore the world with confidence. The Renegade has a bold and rugged exterior built to take you on any adventure you choose. 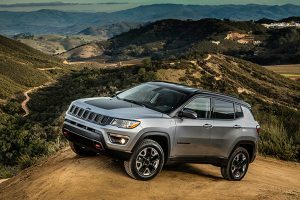 We also have more amazing deals on new 2018 Jeep Compass or Renegade Latitude for only $199 a month. The designers and engineers of the Jeep Compass instilled the passion and excitement of the brand into every element of the vehicle. Fit and finish is paramount. In the crowded market of compact SUV’s, every detail on the Compass stands out.